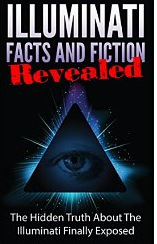 The author’s purpose is to present a clear and concise portrait of the ancient and modern Illuminati. He outlines the modern myths associated with them, their alleged rituals, and the symbols that people attach to them today. The author attempts to present an objective picture and presents evidence that may or not be true. The Bavarian Illuminati was a secret society formed on May 1, 1776, an era that involved turmoil in Europe and North America. This group was against prejudice, superstition and abuse of state power. In addition, they opposed the influence of religion on public affairs. The Illuminati supported gender equality and education for women, radical ideas for that time. The Bavarian leader, Charles Theodore banned this group founded by Adam Weishaupt, along with many other secret societies. He was enthusiastically supported by the Roman Catholic Church. Slowly the Illuminati recruited Masonic leaders and spread outside of Germany. Ciphers and secret names played a big part in their system. There are stories associated with the group. One says that they spread the French Enlightenment ideals and caused the French Revolution. Others include plots of secret societies to attack Christianity and monarchies in Europe. Modern conspiracy theories encompass theories that they control the Hollywood movie industry, practice Satanic rituals, or that they are run by extraterrestrials from other dimensions. Conspiracy theorists cite several symbols currently in existence and connect them to the Illuminati. Sanderson lists The All-Seeing Eye, The Owl, and The Pyramid. He explores the pros and cons of these connections and lets the reader be the judge. There are certainly links, but is there proof? I enjoyed exploring the topic. The author gives the reader a lot to think about and a basis to form your own opinion. 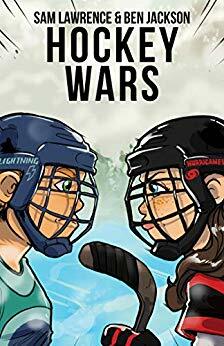 Recommended for teens and adults as an informative and enjoyable read.